Hey there – this is a guest post from my 18 year old, super amazing, fantabulous sister, Hannah. I got the pleasure of trying some of the following recipe last weekend when she made it. Hope you like it – I sure did. This is a pizza that is made with a cauliflower crust, and although that sounds a little weird it was actually pretty good! It is really healthy and you can never have to many veggies, right? 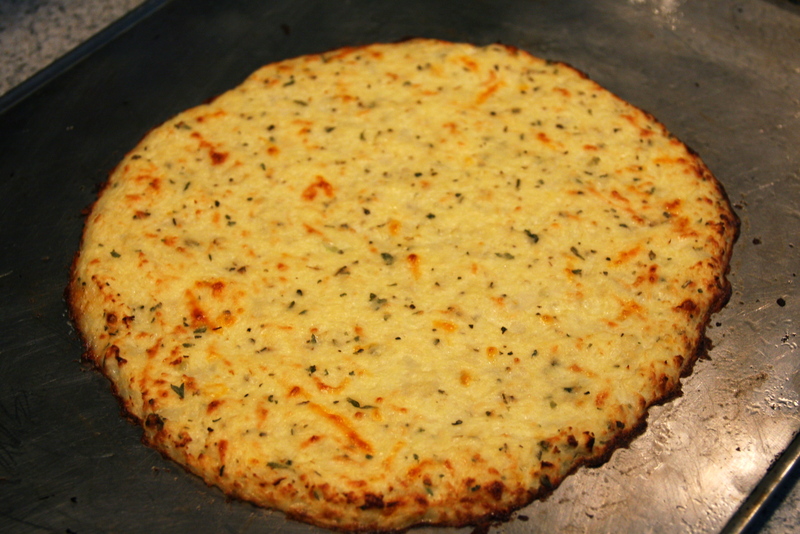 It has no flour in it so it is perfect for people who love pizza but are watching their carb intake or are gluten-free. 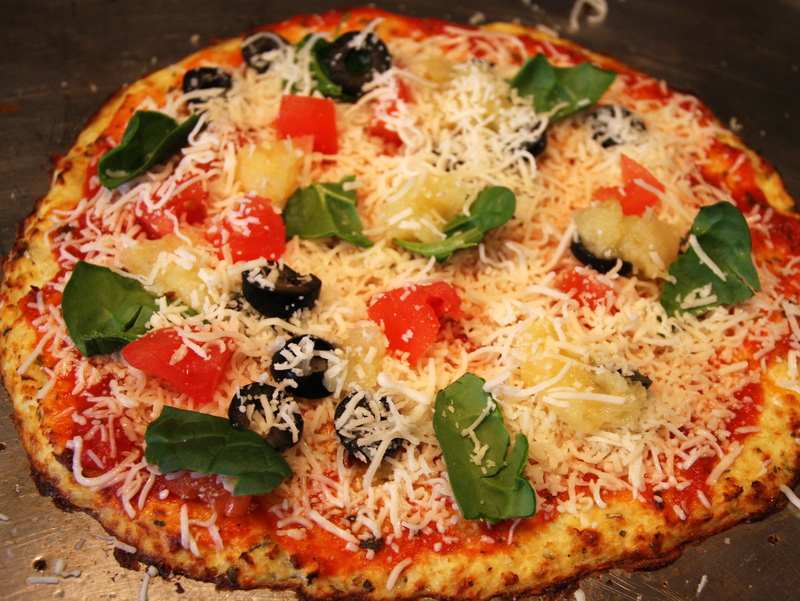 After I took it out of the oven I let it sit for a minute before putting on some pizza sauce, black olives, pineapple, tomato and spinach. Sprinkle with some cheese. You could put whatever you want on it. 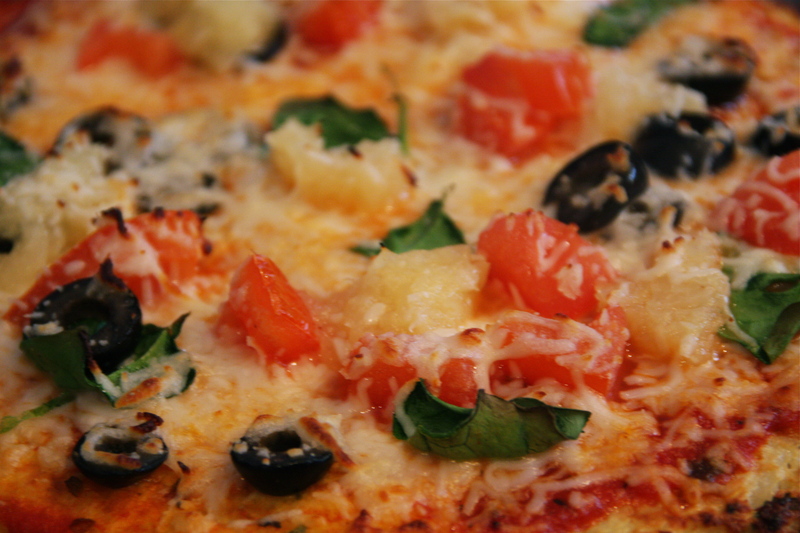 A 9-inch pizza is only about 405 calories but that all depends on what toppings you put on. Next time I might add some broccoli to the crust. Whoah – cool crust! 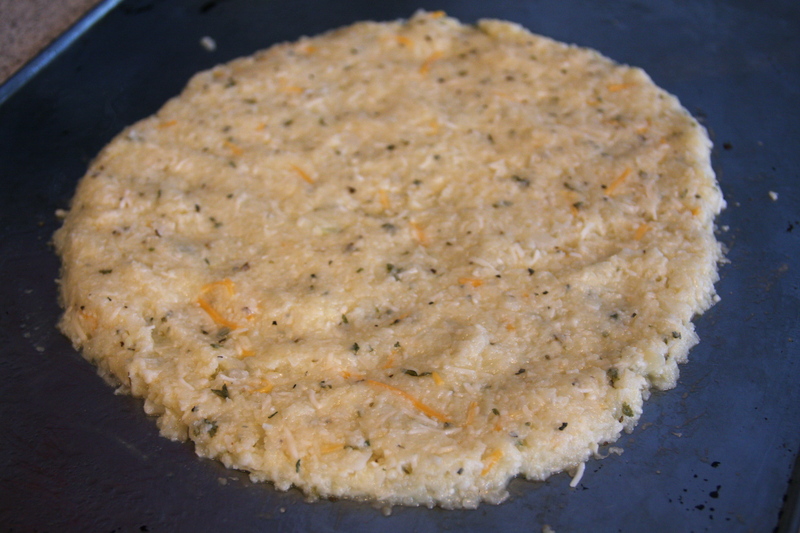 I love the idea of replacing the flour with cauliflower – how’d it taste compared to traditional crust? Would I be able to fool a non-cauliflower-eater? And, on a side note, have you ever tried mashed cauliflower (in lieu of potatoes)?